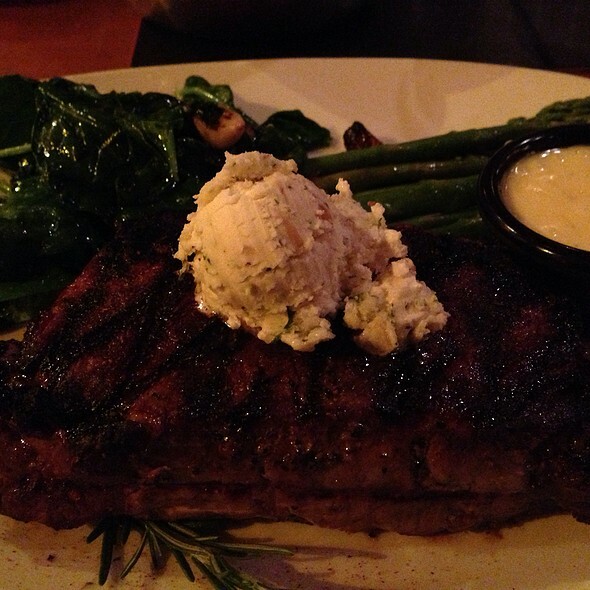 You must make reservations at least 5 minutes in advance of the time at The Final Cut Steakhouse- St. Louis. We offer a seven-level free parking garage, surface lot parking options, as well as free valet parking less than twenty steps from the steakhouse. inal Cut Steakhouse at Hollywood Casino St. Louis is just steps away from an ultimate array of gaming action! We offer a wide variety of entertainment including fabulous Las Vegas-style gambling. In the Mood for Dancing? Try Boogie Nights, a 70's & 80's night club Complete with DJ, Disco Ball, Celebrity Impersonators & an Authentic 70's Lighted Dance Floor, as well as The Hollywood Casino Amphitheatre right next door featuring concerts and events throughout the spring and summer. Good in most regards, but it would be nicer if the air didn't smell of cigarette smoke from the casino. Not fully an upscale experience. The food and service are amazing! I highly recommend dining here. Open table is a great way to get a reservation and to be assured that you can request any special accommodations. However, this trip to the final cut was disappointing. Arriving for a very early reservation and the restaurant was virtually empty, The host Was aware of my reservation and I always request a window booth. He began to leave me into the bar area the most casual and unappealing place for Us To sit. I immediately said I requested a window and he still wanted to put us the bar area. I asked if the window side was closed and he said no and reluctantly sat us at the table. Now the whole tone of the evening has changed. The server is always on point. I ordered a Caesar salad and the menu calls for white anchovies to my surprise on top of my salad were two Incredibly large generic looking anchovies with photos all over them very visually unappealing and certainly was not going to eat them. The salad was full of brown lettuce pieces given that the restaurant was semi lit, I hope the chef was not blind because that’s the only way he could’ve missed the rotting lettuce. Keep in mind salads are not included in this little gym cost $10. My meal was easy a fillet with a A sweet potato dry. With virtually no other customers in the building, my plate comes out with a nice big white baked potato I immediately told him it was incorrect and of course I Received a new potato at the expense of my steak which was not medium rare but blood rare and almost inedible Being cold. There were really no interactions with the staff it was all very sterile not the way I like it. The food is pricey and for the few customers that were In the restaurant our expectations were much higher. On every visit it seems like the favorite part is when we leave almost like we’re being pushed out the door even though they’re never busy. Perhaps it’s the culture and it certainly isn’t the fact that we don’t leave a good 20% tip every time! Hot food should be hot. Steaks should be perfect. The dinner was as outstanding as it has been on every visit. Date night ( food& fun ). Sat in bar area. Lisa was our server and was excellent. We ordered a salmon dinner and a scallops dinner. The food was very good. It was excellently prepared and served hot. 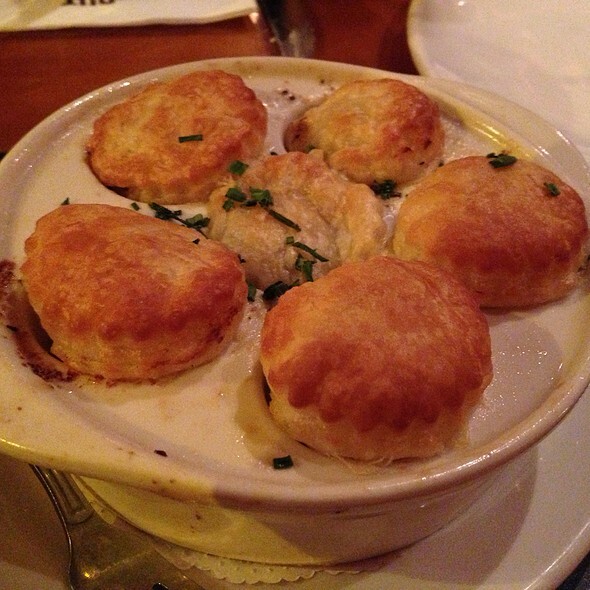 The dinner exceeded our expectations and we will continue to visit this restaurant. The food and service was great but we were put in a booth where the wall, seats and table cloth was dirty. It was very very loud. We usually go to the steak houses at other local casinos and they are a lot nicer than Final Cut for anniversaries and dates. I would recommend this one for groups. The wait staff is amazing. I had the scallops and they were delicious. My husband had the steak and was underwhelmed. However, the rest of the food was so good! We had reservations, requested a booth was taken to a table, with a restaurant full of open booths. The manager came to our table and asked how our experience was and we replied with just okay, The manager replied that "just okay" was an F in his book and then just walked away and never returned. Food was not what it should be. Wedge salad was not iceberg lettuce. Chicken cordon bleu was not original chicken cordon bleu. My prime rib was overdone. And dessert was pumpkin bread pudding in February? Was not offered anything. Service was good. Talked to manager was told this is how we do it here. Place was empty. Service was good. Food was cold, over cooked and tasteless (beef stroganoff). My husbands food was ok. Not something to rush back for. Unless you wanna be sick for the next following day. Do not dine here. I paid well over , 145 dollars to be sick in there hotel all evening and next day. I made complain at front desk. Still waiting on that call back. We arrived right on time for our reservation to be told by the hostess that I did not have a reservation. I showed them my email from Open Table, and they said that they gave it to another couple. They then told me to wait and they would get a table ready for me, and I told them I would wait in the bar. While waiting in the bar area, I heard multiple patrons complain about not having a waiter, the food taking forever, and the quality of the food being poor, so after waiting for 20 minutes and not being sat, we eventually just left. My wife had a horrible cut of sirloin. Saturday night we went to celebrate Valentine’s Day and two family birthdays. It took more than 25 minutes to get a drink. Arrived at 5:30, appetizers arrived at 6:15 and dinner arrived at 7:00 after complaining to the manager. The food was cold when arrived; after speaking with the manager for the second time we walked out. Don’t waste your time or money. The restaurant made no attempt to rectify the issues. Many other diners were having similar experiences. My 13, 5 and 4 year-old settled for drive-thru Taco Bell. Thanks for ruining my wife and daughters birthdays!!! Food was good , but portions were small because of the Valentines night menu. Service was great and the manager cane by to check on us also. Dessert was good also. Good food and service but the environment is not especially for the prices. we eat here every time were in st Louis, excellent food, staff is excellent. always good choices. You always enjoy having dinner here ,the food is great and service is best they always make you at home. 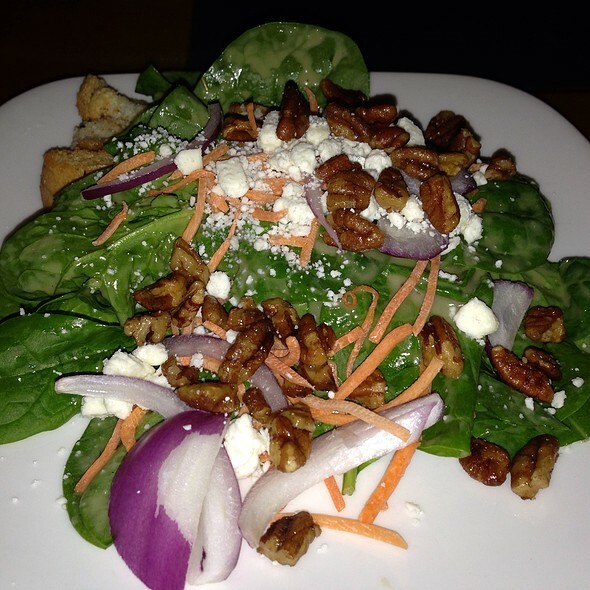 Great service and outstanding food. I would definitely recommend! Our Server Jeffery was amazing!! Jason greeted at the front and made us feel very comfortable! By far one of the best dinning experiences , I have had many all over the country. I understand that the restaurant is inside of a casino, but that should not mean the smoke smell which was over-powering should exist. They had both the front door open as well as the bar door and that may have also been the problem. I judge a restaurant on many things but having to ask for additional water is a major flaw. The restaurant was not busy so there should have not been a reason for that. Food was good overall, although my wife’s meal was under cooked as well as my son’s. Sent back my wife’s and they got it right. They have some work to allocate tables in the 2 dinning rooms to create a feeling of success which guests like. I like to dine in busy and full of happy guests. Not sitting in a large open space with only a few other tables. Great food. Great drink menu. The steaks were delicious. My Wife and I have been there twice recently. Both times the service and food were just short of excellent. My only complaint is the price. If we were paying out of pocket rather than casino comps, this place would likely be out of our normal price range. I took my wife their for our 5 year anniversary and it was amazing. I got the 24oz porterhouse steak and she got the surf and turf. The steaks were cooked to perfection. The whiskey menu is fantastic. We had a great time and it was very quiet when we went at 4:45pm. This meal was for a birthday celebration. The restaurant, waiter and other staff could not have been more delightful. The food was delicious and the atmosphere was great. The price was more than adequate for how great it tasted and the portion size. The drink menu was vast and not disappointing. Our waiter as well as other staff was very attentive, always checking back in with us and giving us great recommendations. We would tell anyone to try this restaurant. It would be well worth their time and palate.
. Ask for Jeffrey, he is a fantastic server! Our dining experience was very enjoyable. Very professional and enjoyable staff. We enjoyed the food but it was disappointing when the plate arrived and on was just meat and a potato. It would seem at those prices a vegetable should be included. The service was excellent and ambiance is very good. Service was not very good and ran out of makers mark bourbon while having only one at dinner . Food was actually really good ! Experience was not the best .